Female fighters in the ring Jump to media player Photographer Amelia Shepherd documents the world of women's kick boxing. 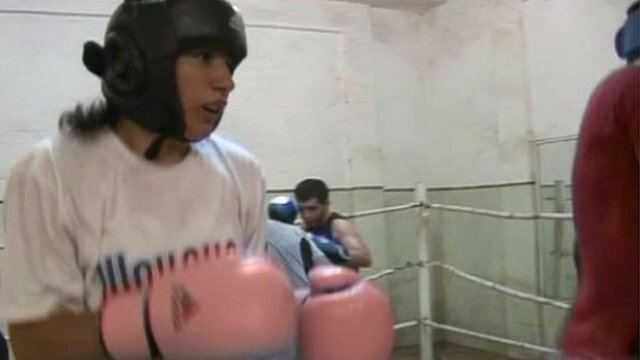 Tajik female boxer's Olympic dreams Jump to media player 20-year-old Mavzuna Chorieva is looking to raise the profile of female boxing in Tajikistan by taking part in this year's Olympic games. The 2012 London Olympics will see women boxing on the bill for the first time, opening the sport up to a whole new audience and raising its profile around the world. 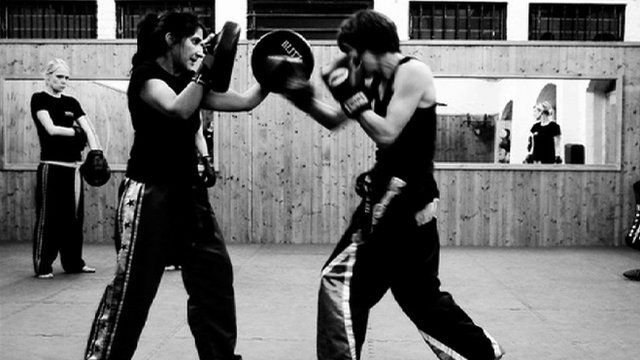 Like boxing, women's kick boxing is little known away from those who take part. Yet as photographer Amelia Shepherd discovered, it attracts participants from a wide range of backgrounds.